The Houston Rockets are healthy, and the wins are coming like clockwork again. The Dallas Mavericks had no real shot at winning a game against a full-power Rockets squad, and that was how the game turned out. Except for an astonishingly cold-shooting stretch in the second quarter, the Rockets were comfortably ahead of Dallas all night long, in a performance which might as well have been scheduled ahead of time. This is what the Rockets must expect themselves to do to lottery teams, and it's only a good sign that they're doing it. James Harden is every bit the virtuoso we know him to be. He scored 25 points on 9-16 shooting, including 6-10 from three point range. His 5 rebounds were nice, but his 13 assists were otherworldly. For his part, Chris Paul only managed 4 assists (as well as 12 points), in a strangely slow night for him. It's games like this in which we see the true strength of having two all-star caliber players (though not in fact two all-stars, since Chris Paul did not make the game). Chris Paul had the bad luck to be running the offense during an extended cold streak, but the team was none the worse for wear once Harden returned to the floor. If a team has an answer for one, the Rockets can throw the other at them. It hardly seems fair, and it's why the Rockets have the second-best record in the league. The team as a whole showed good signs during and after the aforementioned cold streak, as well. In previous seasons, and perhaps even previous weeks, the Rockets may have felt frustrated and begun to unravel a bit. It took them four minutes to hit a field goal in the second quarter, and the Mavs closed a 15-point lead down to a mere 6 at the half. The key culprit was a spate of misses on open looks, something which the Rockets powered through successfully. In the third quarter, the ship righted itself, and the Rockets retook a double digit lead in short order. That they simply kept playing shows the level of trust they have in their team and their offensive system, something which is a necessary condition to win difficult games against quality teams. Tonight their cool-headedness was rewarded with a 20 point lead with 4 minutes left in the game, and those 4 minutes off for James Harden and Chris Paul. Blowing teams out is plan A. Tonight, plan A worked. Of course, the ongoing nightmare of Houston's garbage lineups continues unabated, with the Eric Gordon-led reserves handing 13 of those points back to the Mavs. 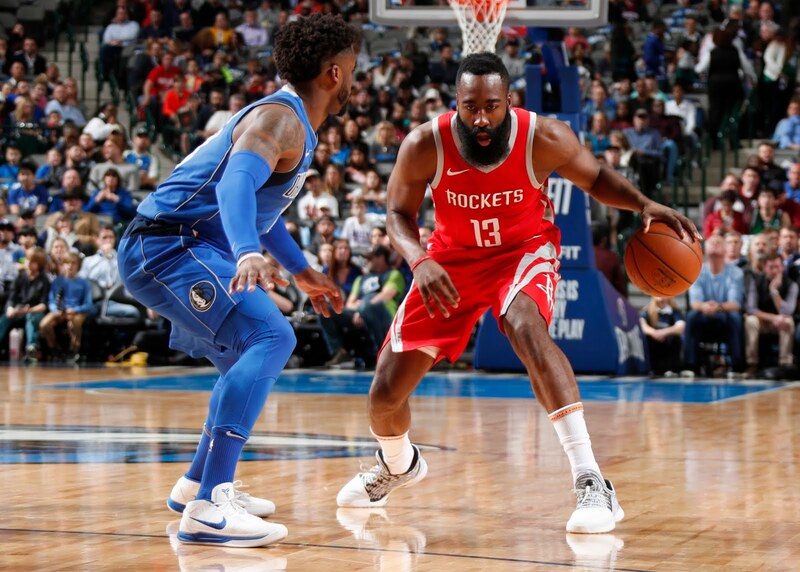 Even with Gordon and Trevor Ariza on the floor with Tarik Black, Gerald Green and Luc Richard Mbah a Moute, the Rockets were losing ground to a quite atrocious Mavs team. 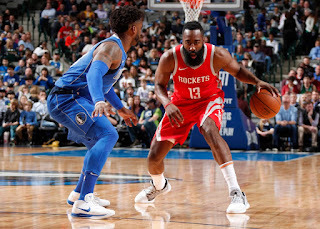 Without a real point guard on the floor, the Houston Rockets are abysmal on the offensive end, a stark contrast to their elite offense with Harden, Paul or both on the court. It doesn't matter in May, but seeing blowout leads shrink down in meaningless minutes must surely hurt the hearts of all the stat-conscious people in Houston's organization, including and especially General Manager Daryl Morey. When that's the big problem for your team, things are going very well. And anyone who's paid any attention to the NBA this season is aware of just how well things are going in Houston. They have yet to lose a game with Paul, Harden and Clint Capela all playing. Everything is proceeding as scheduled.